Black SeaDevil arises from the Deep…..
On Today’s show of the 3 AM Egos, we discussed a deep sea fish caught on video for the first time. The Monterey Bay Aquarium has released new footage of the Black Seadevil, an angler fish that has a light pole a-fixed on top of its head and is basically a parasite fish that attaches itself to a female fish to survive. 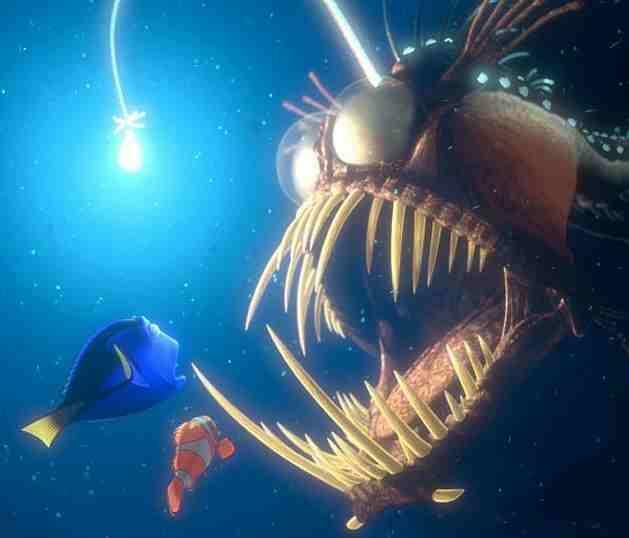 Yes, it was featured in the Disney-Pixar film, Finding Nemo. Kevin (host) thought It was kinda ugly looking, but intern Dan thought it was a cool looking fish and it gave the Monterey Bay Aquarium some nice publicity. Sigmund (producer) didn’t know why this was considered newsworthy because he has seen videos and pictures of anglerfish before. Thanks to Fox News for bringing us this story.